ASDAN in collaboration with RDA offers a way of documenting, rewarding and celebrating our riders’ achievements. ASDAN stands for Award Scheme Development and Accreditation Network. ASDAN is a nationally approved awarding body with charitable status which offers programmes / qualifications which develop personal skills across all abilities through activity based learning. 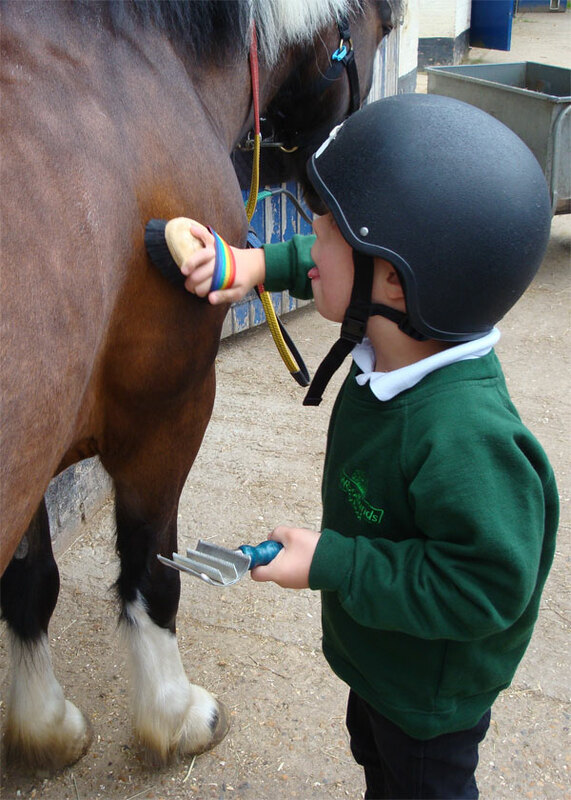 ‘Towards Independence – Animal Care’ provides a framework of activities suitable for riders with all levels of learning difficulties and / or disability. Riders have their own portfolio of evidence, which is externally moderated, including worksheets, photographs and video to show to their parents and school. As well as developing their riding skills, the children enjoy learning about / experiencing aspects of stable management e.g. grooming, tack cleaning and learning about parts of the pony as well as completing a project e.g. participating in the annual RDA South East Region Challenge Day. Certificates are awarded which celebrate achievement at all levels from independent activity to involvement through sensory experience. We are proud that seventeen of our children have received awards since 2012.